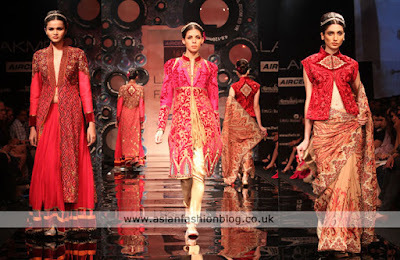 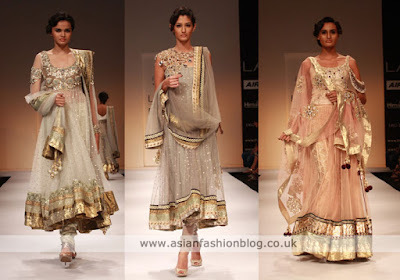 Preparations are already under way for the Summer/Resort 2012 Lakme Fashion Week (which is happening in March 2012), but whilst it's still winter, I thought I'd share some more of my favourites from this year's Winter/Festive 2011 collections. 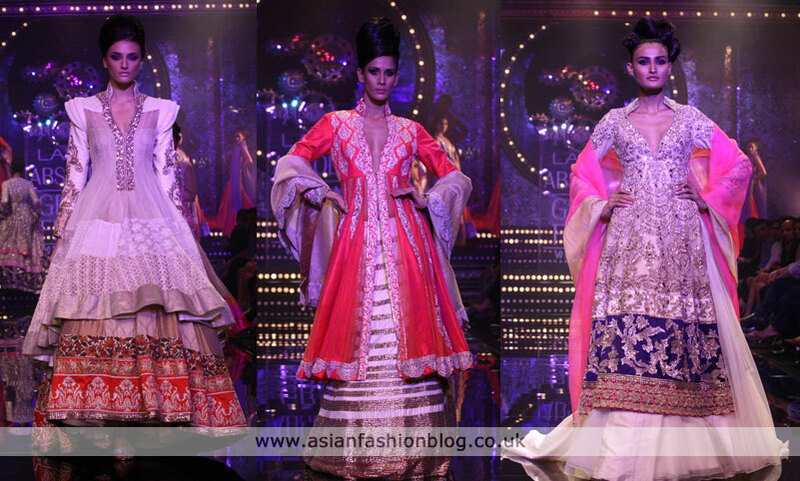 Manish Malhotra - this collection was the finale show and it certainly had that wow factor! 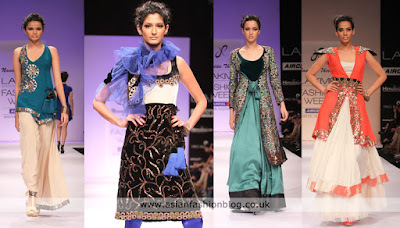 Azure by Harangad Singh - clothes aside, I really like the hairstyle the models are sporting. 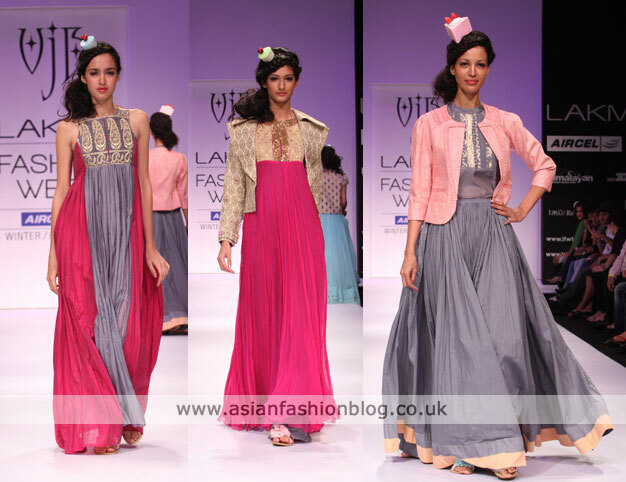 Age of Innocence by Vijay Balhara - very interesting styling choice with the cupcake hair accessories! 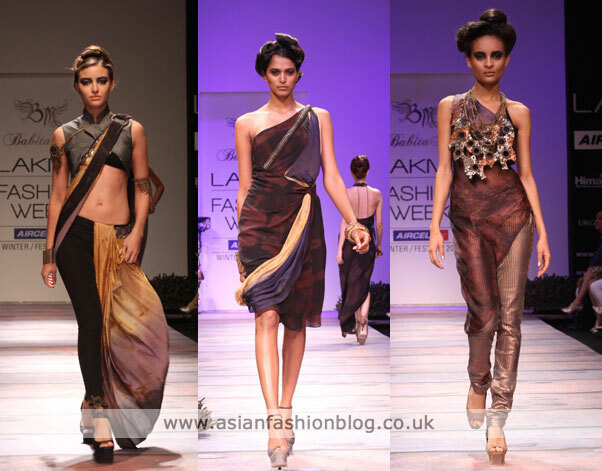 You can view full collections from each designer at the official Lakme Fashion Week website. 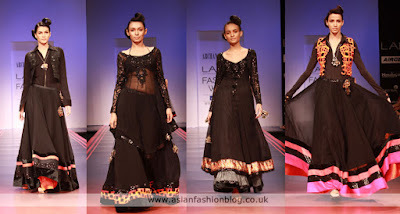 Love the edgy/alternative looks and everything by Payal Singhal,dreamy, gilt edged gowns fabulous!